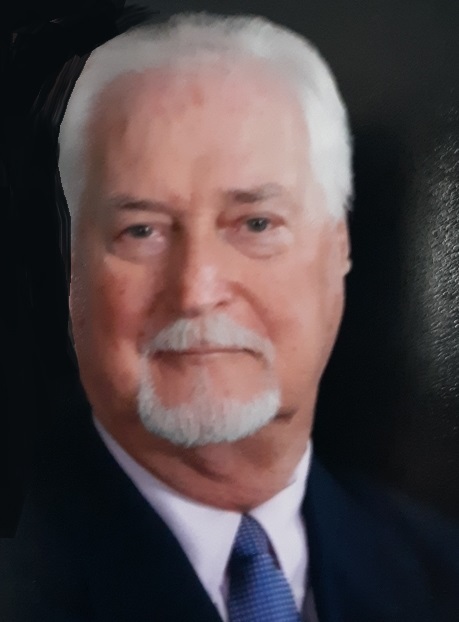 Olin Blaine Fletcher age 75 of Dryden, VA, was born Monday, June 14, 1943 and passed away Tuesday, January 29, 2019 at Lonesome Pine Hospital in Big Stone Gap, VA. He had served with the National Guard, and was employed with Lee Bank and Trust for over 50 years. Olin was a member of the First Baptist Church in Jonesville, VA, loved his family, yard work and flowers. He was preceded in death by his parents James Frank and Herthel Fletcher, and his father and mother-in-law Boyd and Pauline Godby. Olin is survived by his wife Mary Lou Fletcher of the home, one son Blaine Fletcher of Dryden, VA, granddaughter Brittany Oaks of Woodway, VA, two sisters Mildred Livesay and husband, Ben of Kettering, OH and Elizabeth Coin and husband, Pat of Jacksboro, TN, two sisters-in-law Patsy Anderson of Jonesville, VA and Geraldine Ford and husband, Ed of Mechanicsville, VA and also a host of nieces, nephews, great-nieces, great-nephews and extended family and friends. officiating. Family and friends are asked to meet at the cemetery at 12:45 PM for the service. In lieu of flowers the family would like for donations to be made to The Family Life Center in Jonesville, VA. Memorials and condolences can be sent to the family by visiting www.provincefuneralhome.com We are located at 42098 E. Morgan Ave. Pennington Gap, VA 24277. Phone 276-546-2456. Province Funeral Homes are honored to be serving the family of Olin Blaine Fletcher.